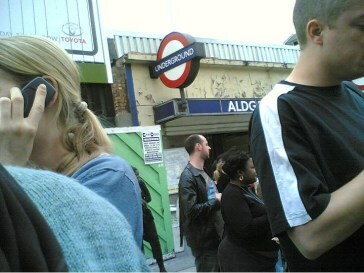 Citizen Journalist Saira Khan sent in this photo outside of a London Underground station after the bombings. Be part of the dialogue of the issues affecting everyone. Tell us YOUR story by being a Citizen Journalist. MSNBC has set up an online network to report on the stories that touch our lives. We’ll publish them here on MSNBC.com. Send us photographs and video! MSNBC is looking for your photos and video of news events. To tell your story through pictures -- moving and still -- that you've shot, just email your media to . Please include captions and information about the videos and photos you send, along with your name and telephone number. You can also use your cameraphone to send us photos and video while you're on the road.